Heavenly Chef earned its stripes years ago by delivering performance, consistency, and quality. Today our brand is still doing that, with a repertoire meeting a chef's every need, from dressing to mayonnaise to baking, sautéing and frying. 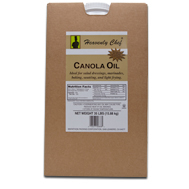 None of our conventional or specialty oils are hydrogenated. All are cholesterol free and contain 0g trans fat per serving, to enable a chef to bring out the most from his creations without the guilt. All of our cooking, salad and seasoning oils are available in a range of retail and food service sizes. 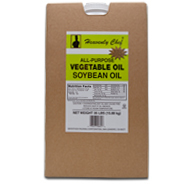 Containing the lowest saturated fat of any conventional vegetable oil, it is the health-conscious choice for salad dressings, marinades, baking, sautéing, and light frying. 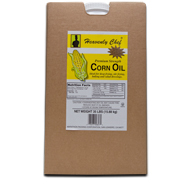 With a robust corn flavor and high frying stability, it is a great tortilla chip frying oil and is equally impressive in all baking and salad dressing applications. 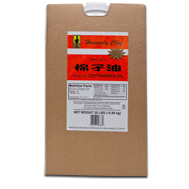 A favorite among Asian chefs, it is a light oil prized for leaving little residue on foods and is ideal for stir-frying and deep frying. The oil's light nutty flavor and delicate color make it great for mayonnaise and salads as well. Available in winterized form. A drop or two will light a fire under any Asian dish. This classic Chinese condiment is meticulously prepared in small batches in a cauldron to seal in the flavor, much the same way it has been done for centuries. Pressed from the finest toasted sesame seeds, locking in sesame's uniquely rich exotic flavor. 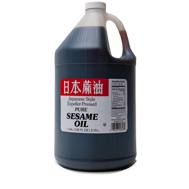 The oil can be used in various stir-fry dishes, noodles and soups. Its 490°F burn point and long fry life puts it among the most demanded non-hydrogenated frying oils available on the market today. 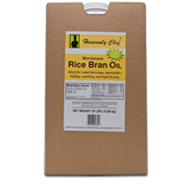 The oil's allergenic profile makes it an ideal substitute for peanut oil. Economical and versatile, cordial in any application from baking to frying.